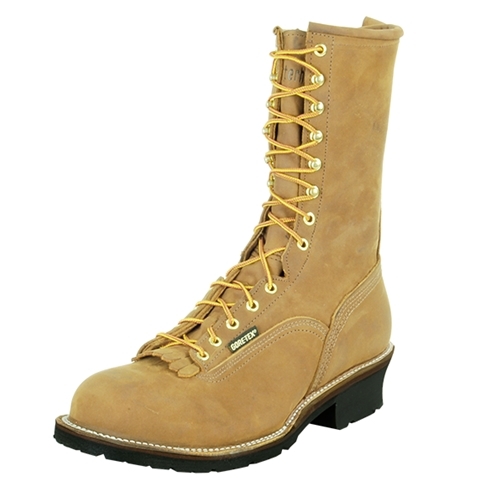 Hall’s 10” patch boot with non-metallic composite toe. Made of water resistant brushed leather with a water-repellent insole board and Black Dryz™ full length poly insert. Guaranteed waterproof with a breathable Gore-Tex® lining. Heavy duty 3-rib pole climber shank. Vibram yellow plug Austin mini-lug outsole. Unique steel 1" wide 3-rib pole climber shank. Composite toe is EH rated and meets ASTM standard F-2413-05. Made in the USA. Hall's 10" Waterproof Composite Toe Patch Boot has a rating of 5 stars based on 3 reviews.